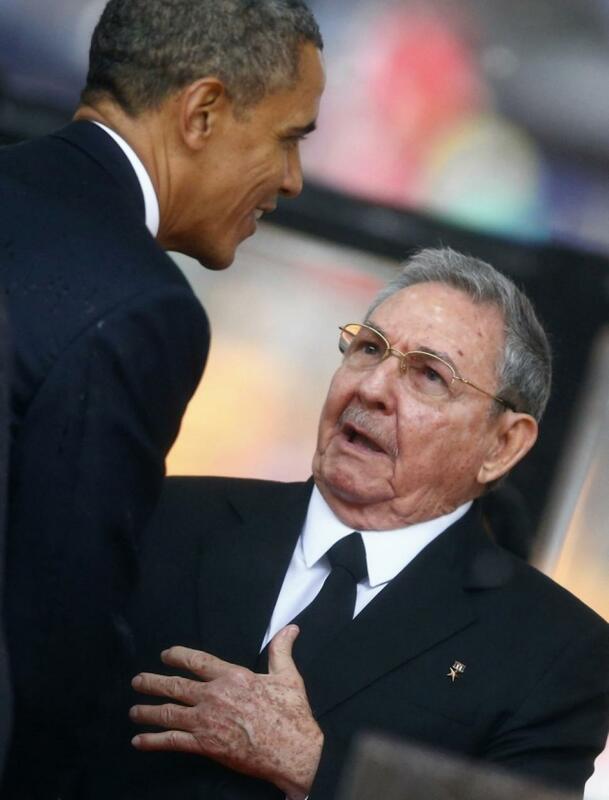 The decades-old feud between the US and Cuba is coming to an end. After exchanging political prisoners – one Alan Gross in exchage for three Cubans held in the US – Presidents Obama and Castro will make major announcements today. Sources are confirming they will announce the end a major easing of the embargo, and future diplomatic relations between the two countries. This is a major development for Venezuela. It points to the seriousness of Venezuela’s economic situation – finding itself unable to support Cuba for much longer-, and it potentially leaves Nicolás Maduro as Washington’s main antagonist in the continent. After all, the US has not had an Ambassador in Caracas since the last decade. We’ll be live-blogging the events, and also linking to interesting analyses that we find. 10:34 AM: Who knew? There is a mutual fund that is closely tied to the easing of the Cuban embargo. Bloomberg is saying that it is soaring today. 10:41 AM: The Granma webpage (official news outlet of the Cuban government) is kaput. This is probably the most traffic they’ve had in ages. 10:51 AM: Sen. Marco Rubio, as quoted by the AP: “This is going to do absolutely nothing to further human rights and democracy in Cuba,” Rubio said in an interview. “But it potentially goes a long way in providing the economic lift that the Castro regime needs to become permanent fixtures in Cuba for generations to come.” Pushback from Cuban-Americans in Congress, as expected. 10:53 AM: Venezuelan pro-government website Aporrea talks about “the Obama regime.” Funny! 11:02 AM: Some commenters who are wiser than I am are saying that lifting the embargo would require one (or more) acts of Congress. Obama can ease it, but can’t do away with it. 11:15 AM: Commenting from Tokyo, a jet-lagged Quico says that Venezuelan government news outlets are asleep at the switch. They have been blindsided with these news. 11:38 AM: Alan Gross has landed. 12:25 PM: Sorry, I went to lunch. What happened…? 12:26 PM: The White House has released a long-winded paper. 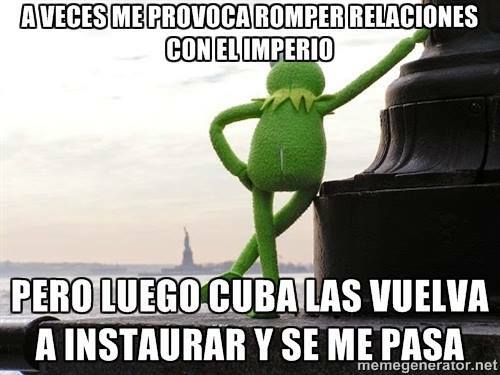 Diplomatic relations with Cuba, baby! 12:27 PM: This bit jumped out at me: US credit and debit cards will be permitted for use by travelers to Cuba. 12:31 PM: Significant efforts by Pope Francis and by Canada in these developments. 12:38 PM: Reading the NY Times story, it’s clear that Obama wanted to do more, but that this is as far as his Executive powers let him go. It’s significant that he says the embargo should be lifted … unconditionally. 12:41 PM: Alright, that’s all for now. This is a historic event, one that will have wide-ranging consequences in Miami, Havana, and Caracas. Regardless, I keep coming back to the idea that Washington’s #1 nemesis in the Hemisphere is now … Nicolás Maduro.